Mother Nature remains silent on the subject of snow. I am sure she will punish us with some worst-in-a-century snow storm. Or perhaps she heard me complaining about the heat in the middle of June last year? Being 9 months pregnant kind of gives you that right, no? Aaaanyways, our calendar still shows it’s Winter, so I will enjoy Winter-y treats. Line your cupcake pan with cupcake liners. Set aside. In a medium mixing bowl, whisk together dry ingredients ( flour, cocoa, baking soda and salt ). Place shortening in a large mixing bowl and beat for 30 seconds. Add sugar and vanilla and beat until well combined. Add eggs, one at a time and beat well after each addition. Add flour mixture alternating with water. Beat until just combined. Fill cupcake liners 2/3 full. Bake 18 – 20 minutes, until the toothpick inserted in the center comes out clean. Cool cupcakes in the pan for few minutes, then transfer onto a cooling rack. Place butter in a large mixing bowl and beat on medium speed for 20 – 30 seconds. Add cold cream cheese and vanilla extract and beat until light and creamy. Add powdered sugar, 1 cup at a time. Beat well. Add the hot chocolate mix and beat until well incorporated. 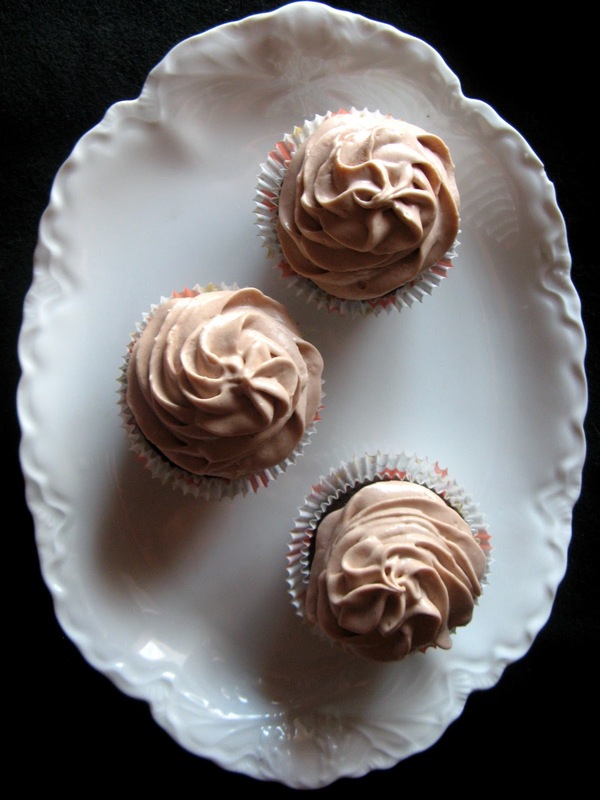 You can refrigerate it to stiffen it up a little or frost the cupcakes right away, and then refrigerate. I used Wilton’s 1M tip to frost the cupcakes. 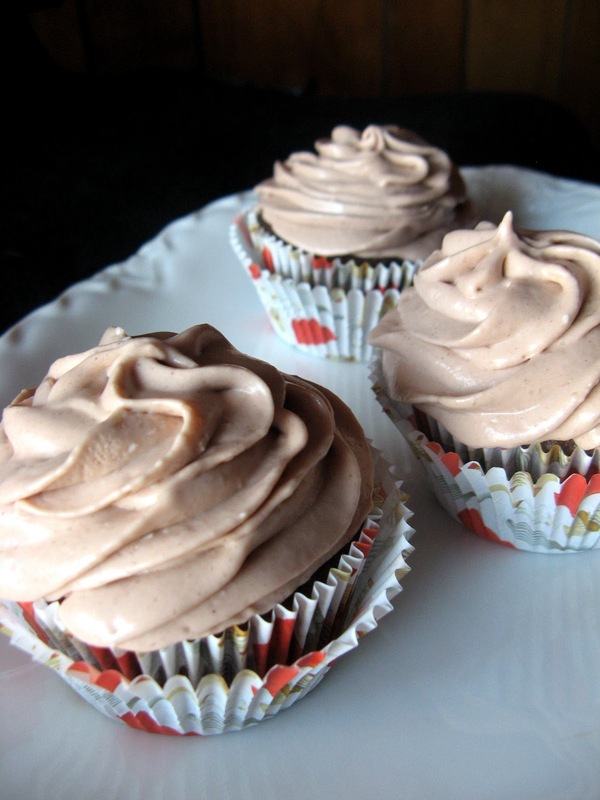 Yum, hot chocolate frosting sounds divine! gorgeous looking cupcakes! You mean that that's what my Hubby was thinking when he saw me eating the first cupcake? lol 🙂 Thank you so much for pinning, commenting and for hosting such a fun event! Greetings, Anna. You have a lovely blog. Love your cupcakes. Thank you so much and welcome to CCS! What a BRILLIANT idea! 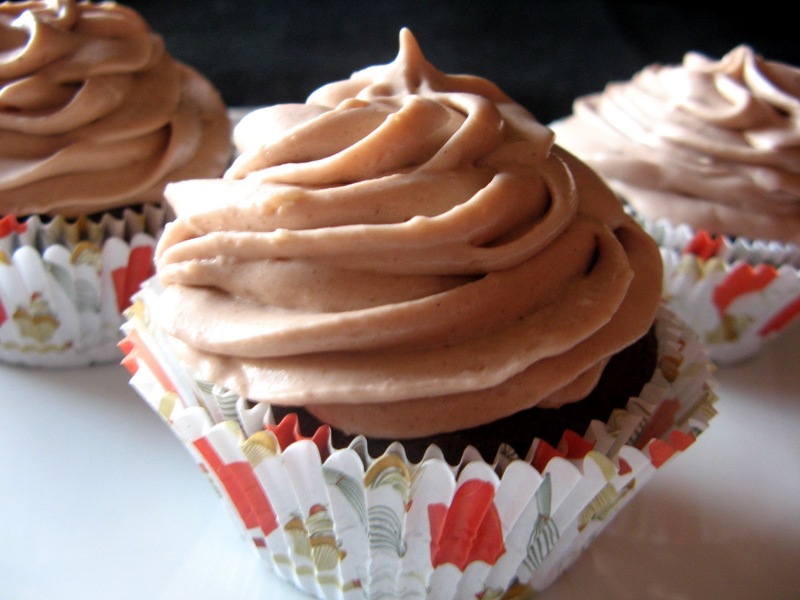 Hot chocolate frosting….pure genius! It looks so delicious! You know I'm not complaining about the cold! I'm not a cold weather person AT ALL! Your little cupcake wrappers are adorable! My family loves cupcakes and I'm long overdue to bake a batch. They'd love your hot chocolate version…how fun! These cupcakes look amazing! Love that the frosting uses a packet of hot chocolate! Using that hot chocolate mix for the frosting is a great idea, especially since there is so much variety of mixes out there these days! I do like the light milky color of the frosting-it does have the same color as hot chocolate. Also I do think that the milk chocolate flavor against the dark chocolate flavored cupcakes would be delicious. Great post. Enjoy the weekend! Thank you so much, Tina! Have a great weekend! Oh my, those look YUMMO! I usually am not a chocolate on chocolate kind of gal, but I could make an exception for those! Thank you, Samantha! I hope you will try them! So beautiful cupcakes! They look delicious! Hopped onto your lovely blog from Serena's place.I'm so glad to be here and you are such an amazing baker! !I'm your newest follower – do drop in my place too sometime:)Lovely meeting you! Awww, thank you so much, Sudha! Welcome to CCS! Chocolate+more chocolate is a great combo! Love it. They look so decadent! Thank you so much, Leanne! These look delicious and I love the idea of hot chocolate frosting! What an awesome idea! 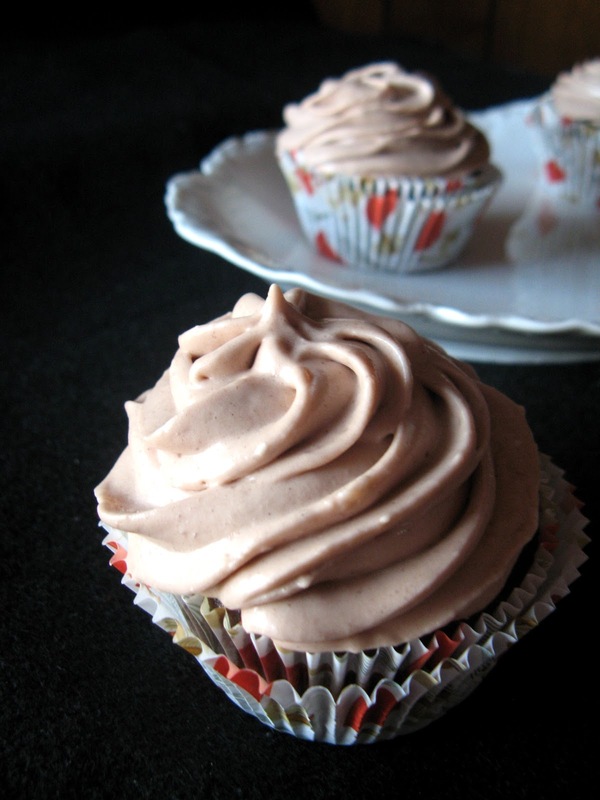 I've heard of putting it in just about everything else, but frosting tops the bunch. I hope you will try it – it's delicious! Thank you for your comment, Dorothy!